Some years ago, I was updating and upgrading my outdoor equipment. Almost everything I purchased was with a mind towards adventure racing, which I thought I might like to do someday. Adventure racing was in its adolescence, and so was the gear. Everything had to be lightweight, functional and durable. This need created a gear revolution, and it was nirvana for a gear-head like me. I ended up with equipment that was quite good and for the most part was a good buying decision. 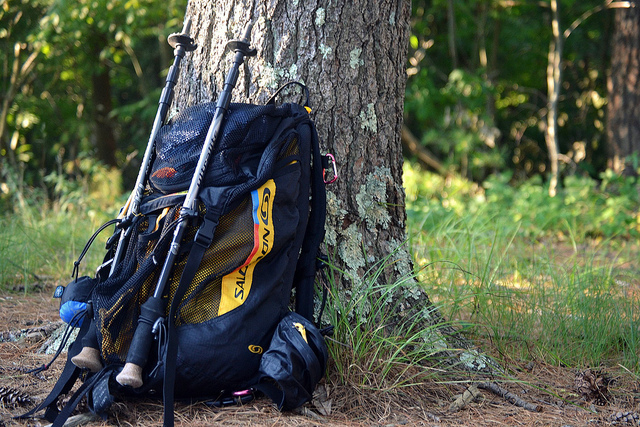 For example, my Salomon pack (an early incarnation of AR packs at the time) has held up well, has most of the features I need, and despite a few modifications I would make, serves me well for our day hikes. I also had a pair of Salomon XA Pro shoes that were ugly as sin, but I got such a good deal on them I couldn't pass them up. Despite the laugh factor, they were amazing - grippy, light and durable. I literally ran them into the ground. There were also purchases on gear I thought I needed because that is what adventure racers carried. My trekking poles fall into this category. 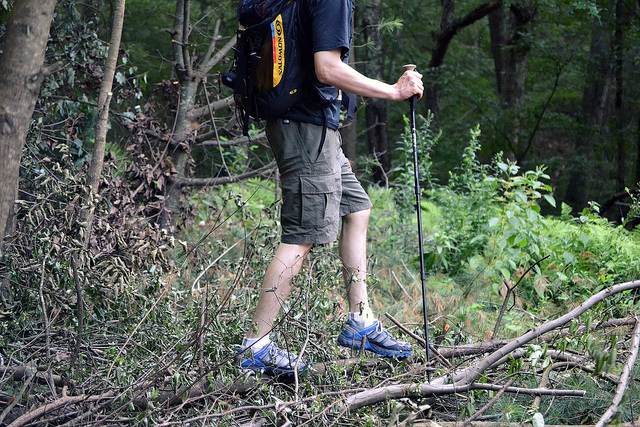 Using trekking poles for hiking and adventure racing is very popular. Help distribute the load to your arms and shoulders and take strain off of your knees and legs. 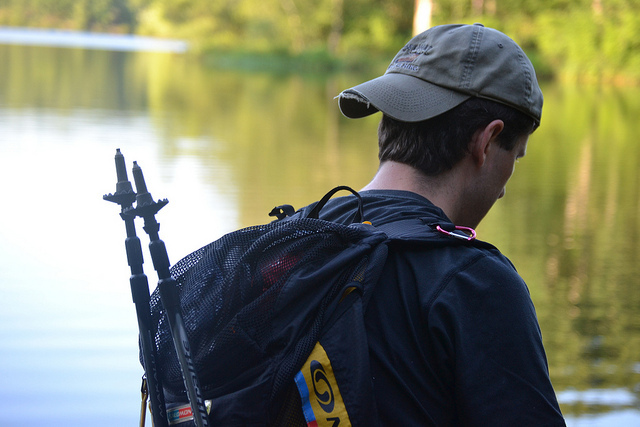 Provide balance and safety, especially when crossing rivers or on uncertain terrain. Improve ascent and descent times. Are useful for tarp shelters, emergencies, etc. 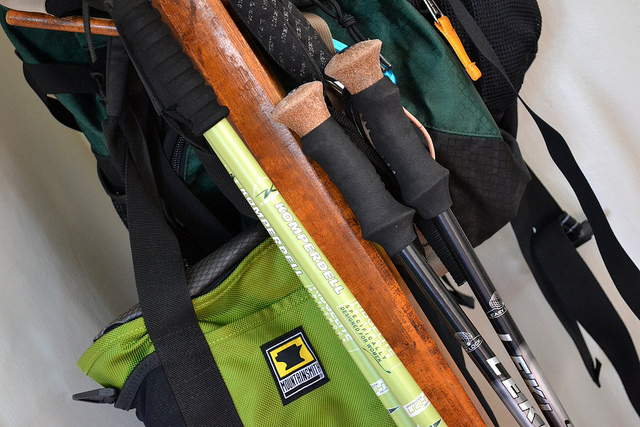 Seemed like a no brainer to pick some up, so I bought a pair of Leki Makalu trekking poles. They are lightweight, super strong, and well reviewed (at the time). And I have used them maybe four times in 6 years. It turns out I cannot stand to be carrying things in my hands when hiking. I like having my hands free for climbing, scrambling, nefarious on trail attacks, that sort of thing. That explains why I attach so much to the outside of my pack. I like having gear handy, but not in hand. Furthermore, I tend to be quite something when in motion. It comes with the beanpole build passed down through the generations. My gangliness certainly does not need extensions of gangliness. It is all I can do to keep my limbs in check without adding another four to five feet of length. I found them to be helpful for making good time up a mountain, and added security in a stream. But I was constantly adjusting them, putting them away, pulling them out, dragging them behind me, wondering where I had put them, and so on. I spent more time fussing with them than really using them to their full potential. In the end, the poles became cool accessories strapped to the Salomon, adding a bit of legitimacy to the shoes (they were real ugly). After awhile, I considered just leaving them home, but that "Be Prepared" voice kept ringing in my head. 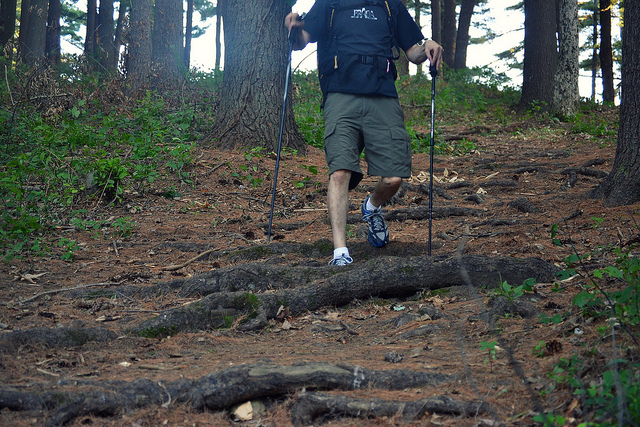 Then one day we were hiking a mountain in New Hampshire. The slope had quite a pitch, so Heather asked to try them. She loved them, leading to her purchase of a set of poles specifically designed for women (she plans to write about them at some point). Not as spartan as my poles, but infinitely more useful for her. Long foam handles with slim grips designed for smaller hands, built in shock absorbers, and a compass in the top. She uses her trekking poles all the time, while mine gather dust. That is my one tale of a gear bust. 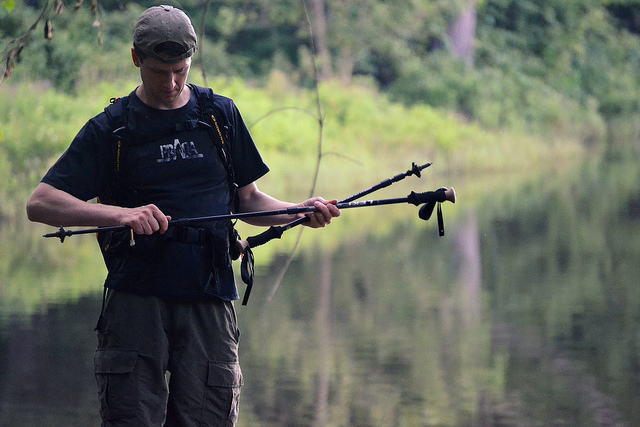 The trekking poles have many great qualities and are useful, just not for me. Ever buy gear that you thought you needed but ended up being happier without?